Anglers will have to manage three different lakes going into Stage Three of the 2019 season. Knowing what you’ll find when you get to where you’re going is less important than knowing what to do when you get there. That’s the experience factor; the foundation upon which Major League Fishing Bass Pro Tour anglers will build their game plan when Stage Three of the 2019 season visits a trio of under-the-radar lakes in Raleigh, North Carolina, March 26-31. The Shotgun, Elimination and Knockout Rounds are set for Falls and Jordan lakes, comprising 12,410 and 13,940 acres, respectively. The Championship Round takes place on the 4,100-acre Shearon Harris Reservoir. 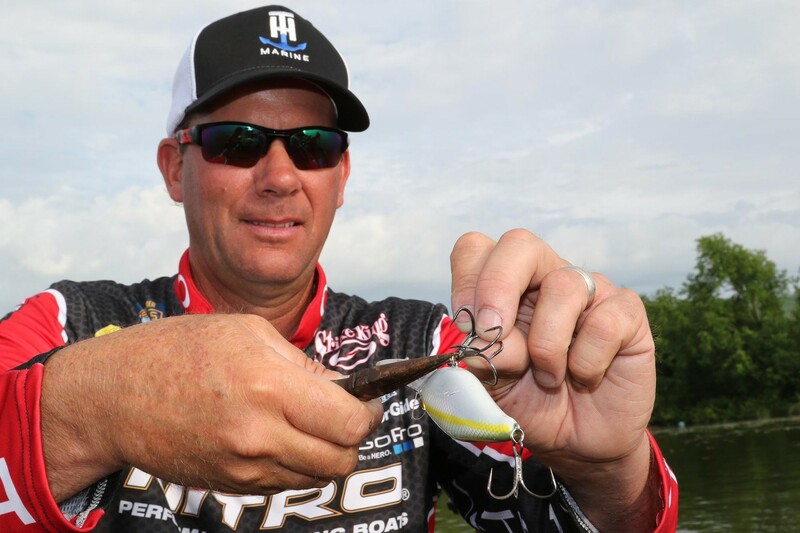 Mustad pro Kevin VanDam surmises that most of his 79 fellow competitors share his unfamiliarity with the tournament waters, as the relatively small lakes lack the size needed for national and regional circuits. However, these Tarheel State reservoirs are known lunker factories, so he’s ready for a slugfest. “These lakes all have tremendous big-fish potential, but I’ve never fished there, so I’m really looking forward to it,” VanDam said. “I don’t think these are numbers lakes, I think these are lakes that have some really big quality fish. 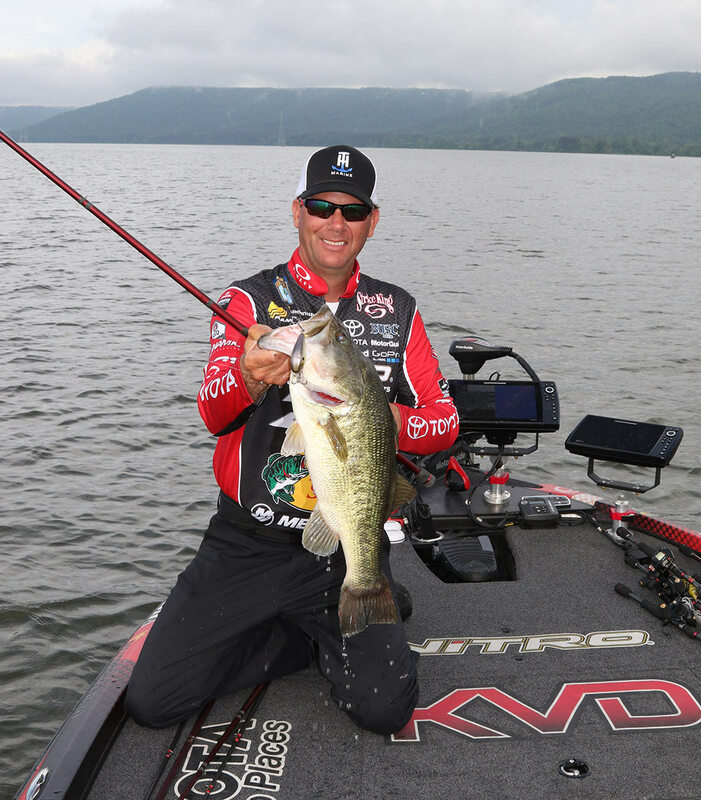 VanDam believes recent cold, rainy weather in the state’s capitol has held off the spawn. With lingering cold fronts keeping the water temperatures below ideal spawning levels, Pace said he’s expecting mostly a prespawn event with the possibility of some early fish snooping around the bedding areas. “If the fish are in a strong prespawn mode with the water in the low 50’s, I think the fish are going to be on cover closer to deeper water,” Pace said. “That could be stumps, banks with deep water leading into a spawning flat, or a bluff end — a main lake bank that runs into a pocket. Should he find even warmer water, Pace might devote some time looking for early spawners. Whatever stage greets the event, he wants to find protected pockets with good sun exposure and “feeder systems” — well-defined creek channels providing the travel lanes that facilitate spawning migrations. These lakes all have tremendous big-fish potential, but I’ve never fished there, so I’m really looking forward to it. Expecting crankbaits to play a major role in this tournament, VanDam’s packing the full-figured models like Strike King’s KVD 4.0 and 8.0 squarebills. He’s also loaded for bear with plenty of spare Mustad KVD Triple Grip treble hooks in sizes 1/0 and 2/0. “This is a place where locals catch 30-pound, 5-fish stringers,” VanDam said. “When you get that opportunity at one of those truly giant fish, you definitely want to put the odds in your favor. Having a super-strong hook that’s not going to flex or get bent out by a big fish is critical. Pace, who includes Mustad KVD Triple Grip trebles on all of the Black Label crankbaits he builds, said he’ll keep a flat-sided bait handy for working that 5- to 6-foot zone. He also expects a jerkbait, lipless bait, vibrating jig, spinnerbait and flipping presentations to play. For the latter, he likes a straight shank Mustad KVD Grip Pin Hook for craws and beaver style baits, while the wider gap of a Mustad KVD Grip-Pin Soft Plastics Hook better fits a tube — his preferred bed fish bait. Acknowledging the significant question marks awaiting the field in Raleigh, Pace said success hinges on good decision making. Three new lakes can be overwhelming, but he’ll break down the options by playing the highest percentages.